A follow-on class for those who have already attended a beginner’s copperplate workshop and would like to explore the script further. 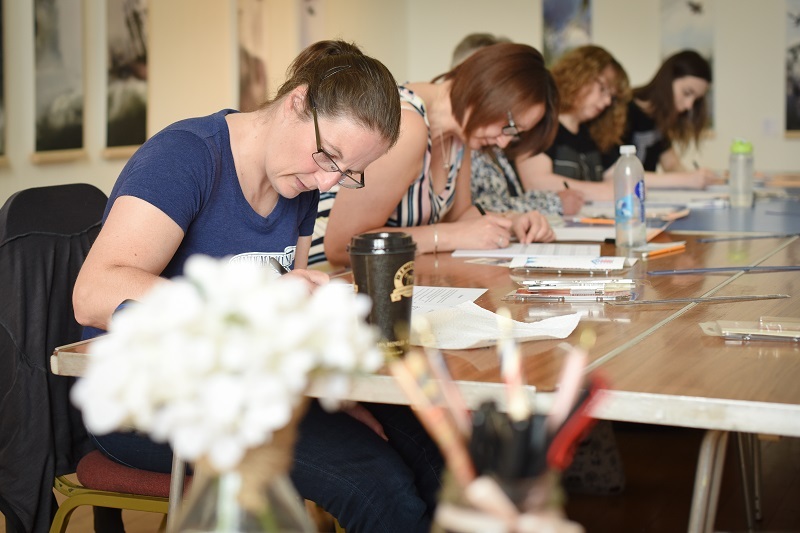 The session will include writing with different pointed nibs, inks and papers, as well as more practice joining letters to create beautifully written words. Places are very limited and a £10 non-refundable deposit is payable upon booking, either in person at Re-Create Today or via PayPal to info@creative-calligraphy.co.uk.